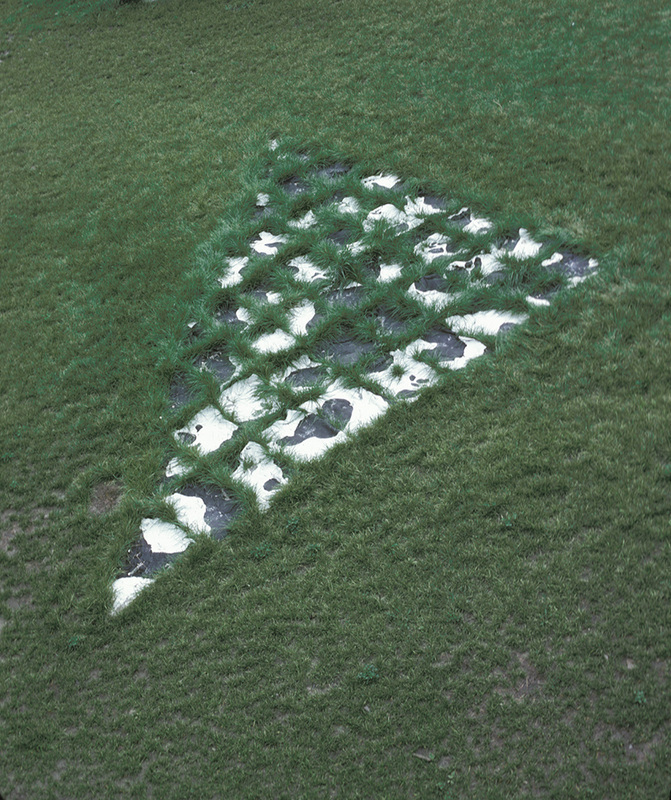 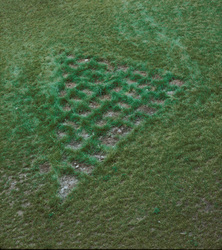 Starting in July as a sculpture and evolving into an earth drawing by September, the imprint of the quilt was still visible for several years before it finally disappeared. 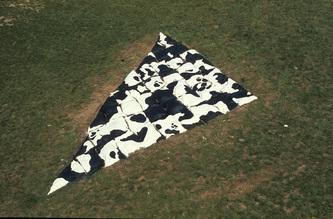 The quilt was made of 46 individual “pillow shapes” made of unfired clay and painted Holstein black and white with acrylics. 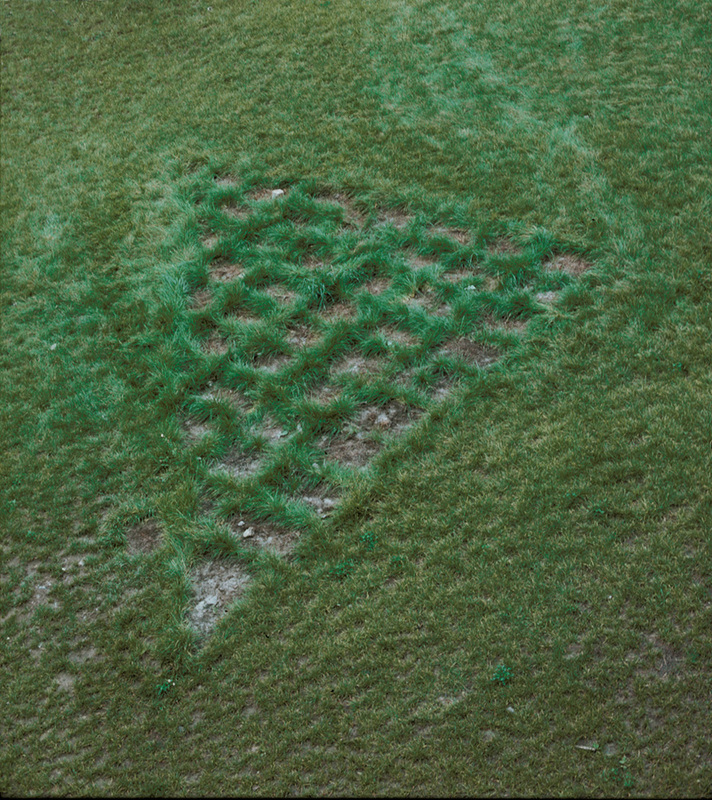 It was intended to be vulnerable to the weather, gradually changing its shape and size and eventually disintegrating into the ground. 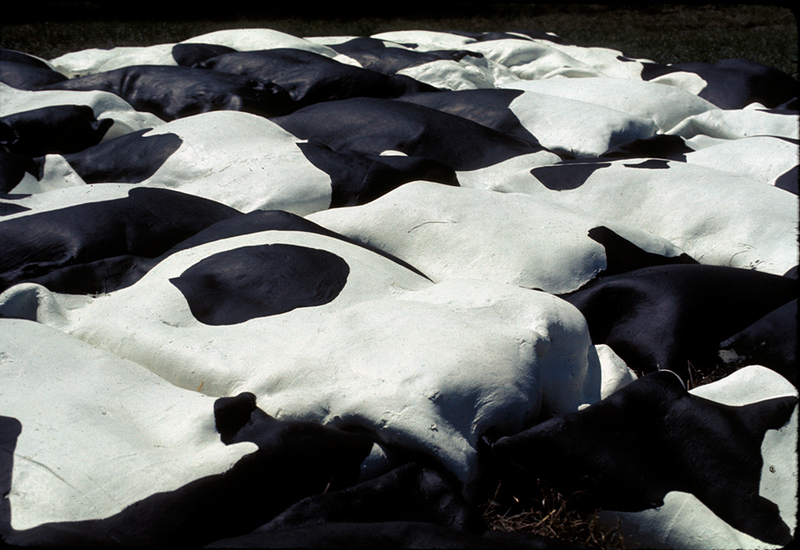 During the interim of the summer, each of the individual pillows of the quilt became outlined by grass, which grew rapidly in between them, altering the piece and indicating movement as would be natural to a herd of live animals. 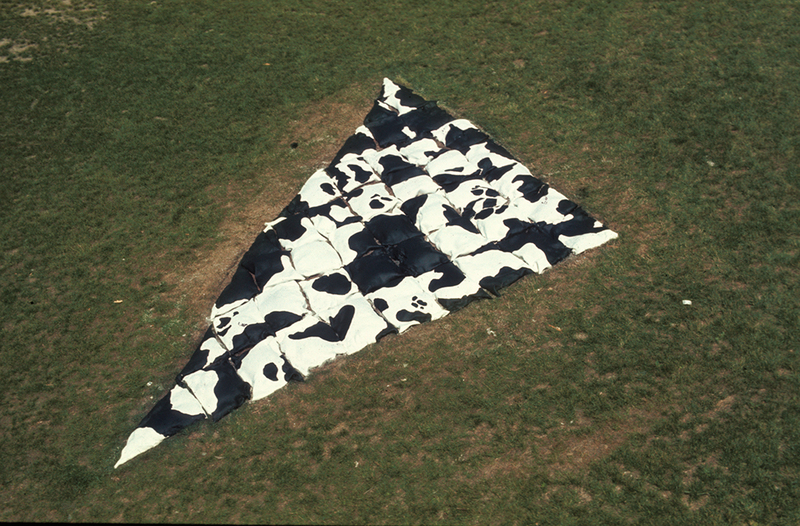 For its duration the piece served as mulch and a second quilt emerged after the clay disappeared and the remaining flattened skins of acrylic were removed. The resulting “imprint” of the original quilt, emerged as an earth drawing. 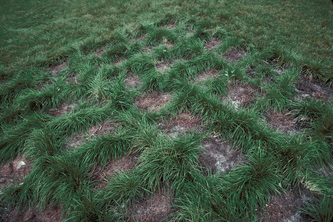 This impression was similar to the imprint left in a field by repeated trampling in one area.